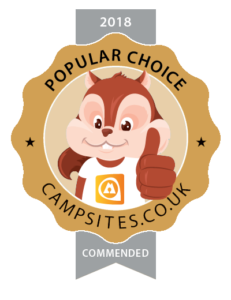 Thank you for choosing to book Little Oak Camping. We look forward to welcoming you to our campsite. By making this booking you are entering into an agreement with us. Please read our terms and conditions of use of our website and bookings below. Your access to and use of Little Oak Camping ("the Website") is subject exclusively to these Terms and Conditions. You will not use the Website for any purpose that is unlawful or prohibited by these Terms and Conditions. By using the Website you are fully accepting the terms, conditions and disclaimers contained in this notice. If you do not accept these Terms and Conditions you must immediately stop using the Website. 5.1 All copyright, trade marks and all other intellectual property rights in the Website and its content (including without limitation the Website design, text, graphics and all software and source codes connected with the Website) are owned by or licensed to Little Oak Camping or otherwise used by Little Oak Camping as permitted by law. 6.2 To the extent permitted by law, Little Oak Camping will not be liable for any indirect or consequential loss or damage whatever (including without limitation loss of business, opportunity, data, profits) arising out of or in connection with the use of the Website. 6.3 Little Oak Camping makes no warranty that the functionality of the Website will be uninterrupted or error free, that defects will be corrected or that the Website or the server that makes it available are free of viruses or anything else which may be harmful or destructive. 6.4 Nothing in these Terms and Conditions shall be construed so as to exclude or limit the liability of Little Oak Camping death or personal injury as a result of the negligence of Little Oak Camping or that of its employees or agents. You agree to indemnify and hold Little Oak Camping and its employees and agents harmless from and against all liabilities, legal fees, damages, losses, costs and other expenses in relation to any claims or actions brought against Little Oak Camping arising out of any breach by you of these Terms and Conditions or other liabilities arising out of your use of this Website. If a booking is made more than one month in advance of the visit, reservations are confirmed on receipt of a deposit. The deposit is 30% of the total fee for campers and 50% for glampers. The balance is due one month before the visit. Bookings made less than one month in advance of the visit are confirmed on receipt of the payment in full. - You want to book for a visit which is less than 24 hours away. - Your group size is larger than six. - The booking is for children or teenagers only ie there are no adults (18+) on the booking. - You would like to book the whole site. - You have a gift voucher. If you just want some outdoor fun then we would love to have you, however, this site is not suitable for very drunk & rowdy groups. We are happy for you to play games on the field and listen to music (as long as it is not very loud), but please quieten down by 11pm. You can stay up as long as you like chatting around the fire, but no loud music or shouting or singing after 11pm. We welcome adult only groups however please be mindful that our environment is family friendly. Please be accommodating to guests who want to enjoy a quiet and relaxing holiday. Loud music, drunken shouting, singing and swearing is unacceptable at any time. You can stay up as long as you like chatting around the fire, but please turn your music off and quieten down by 11pm. We would only cancel your booking if your accommodation was unavailable for reasons beyond our control. We would, however, attempt to offer you alternative accommodation. If this was not possible, or unacceptable to you then we would refund all monies paid by you for the booking. Our liability would not extend beyond this refund. Camping: Unless previously agreed check in is after 12 noon, check out is before 12 noon. Glamping: Unless previously agreed check in is after 2pm, check out is before 12 noon. The speed limit is strictly walking pace on site at all times. Camper vans, caravans, trailer tents and commercial and twin-axle vehicles are not allowed. There is no electricity on the pitches. Freezer packs can be refrozen on request. There is one socket on site which can be used to recharge mobile phones or tablets. It is not covered and phones should not be left unattended. All guests & visitors must report to reception on arrival. The very nature of camping means that there are hazards to be aware of at all times. Please be careful of your footing over fallen branches, watch out on wooden surfaces as they can be slippery when wet and take care wandering round the site at night. Every effort has been made to ensure guests safety but we cannot accept responsibility for any accidental injuries. Guests must take full responsibility for any children in their group. Children using swings must not be left unattended and do so at their own risk. The pond is off limits to unsupervised children at all times. No additional family or friends are allowed on the site unless previously agreed. We are happy for you to play ball games, but please don’t annoy other guests and play safely. Balls will inevitably go into the ditch to the east of the site, however, please do not let children play in the ditch. The greenhouses next door have very sensitive proximity alarms, if they are tripped our friend and neighbour will have a 20 mile round trip on his day off to reset them. Consequently, if tripped a charge of £50 will be levied. We will happily retrieve balls the next weekday. Under no circumstances should fires be lit anywhere on site except for the designated fire pits. Firepits are allocated on a first come first serve basis. Please do not put BBQs directly on the grass. Either put the BBQ onto a fire pit or use the slabs and stones we can provide you with on request. Fire pits and BBQs that are off the ground are fine. Please be aware of the fire assembly point, alarm and fire buckets for use if needed. You can stay up as long as you like chatting around the fire, but please turn your music off and quieten down by 11pm. Loud music, drunken shouting, singing and swearing is unacceptable at any time. Dogs are very welcome. All dogs must be under control at all times. Under control means they do not come into our house or chase our cat. If you have hired the Romany Caravan, your dogs are welcome in the caravan. However they must not be left in the caravan unsupervised. Other dogs on site are not allowed in the caravan. Please use the rubbish bins and recycle points. Do not leave cigarette butts on the grass because it kills it. No smoking in the shower block and Romany Caravan. We cannot accept responsibility for loss or damage to personal possessions or vehicles. The information taken at time of booking is required to be collected for the purposes of processing your reservation with us. We may also disclose your data to CampStead Ltd who may contact you, inviting you to complete a questionnaire and review regarding your stay at our park.